Satun,Thailand, April 8, 2019 – Hsu Chen-Wei and Wu Shian-Shian of Chinese Taipei advanced to the men’s main draw of the FIVB Beach Volleyball World Tour SMM-Park Bara Beach Open 1-Star after registering two victories including a dramatic tiebreaker win against team-mates in the Monday’s qualification. 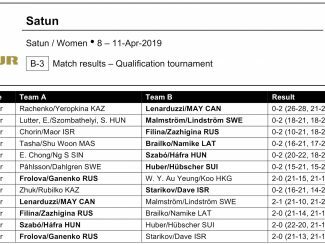 Hsu and Wu needed 58 minutes to first beat Hungarians Botond Ola and Bence Attila Streli 2-1 (24-22 24-26 15-9) and later struggled hard to beat Wang Chin-Ju and Hsieh Ya-Jen in hard-fought three-setter 2-1(22-20 18-21 17-15 )in the all-Taiwanese battle. 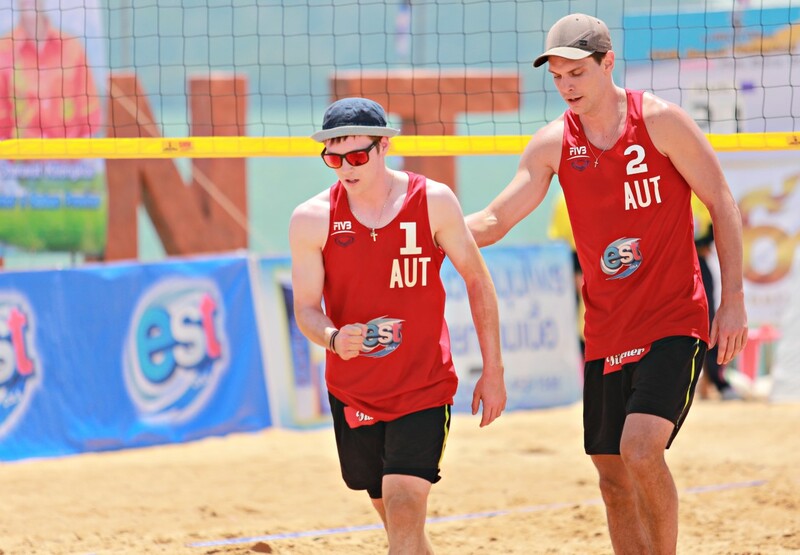 Also reaching the men’s main draw were Austria’s Jakob Reiter/Simon Baldauf, who first edged past Japan’s Koichi Nishimura/Daisuke Shibata 2-0 (21-17, 21-16). 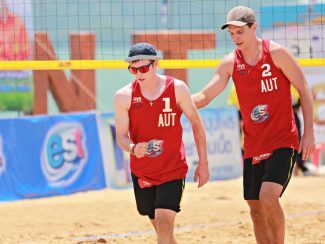 In their second match, the Austrian duo faced a stern test against Andrey Bolgov and Vladislav Ermilov and brought out their best to defeat the Russians in hard-fought three-set thriller 2-1(23-21 14-21 17-15). Russia’s Danill Kuvichka/Anton Kislytsyn and Hungary’s Artur Hajos/Balazs Benko won both the matches played in the qualification to secure the main draw spots. 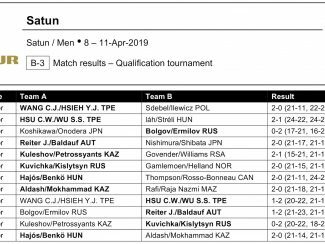 The Russians won against Norway’s Jorn Olav Gamlemoen and Christian Helland 2-0 (21-15, 21-19) and Kazakhstan’s Alexey Kuleshov and Artem Petrossyants 2-0 (22-20, 21-18), while the Hungarians defeated Canada’s Adam Thompson and Hugo Ross-Bonneau 2-0 (21-11, 24-22) and Kazakhstan’s Nurdos Aldash and Abdulmajid Mokhammad 2-0 (21-14, 21-15). 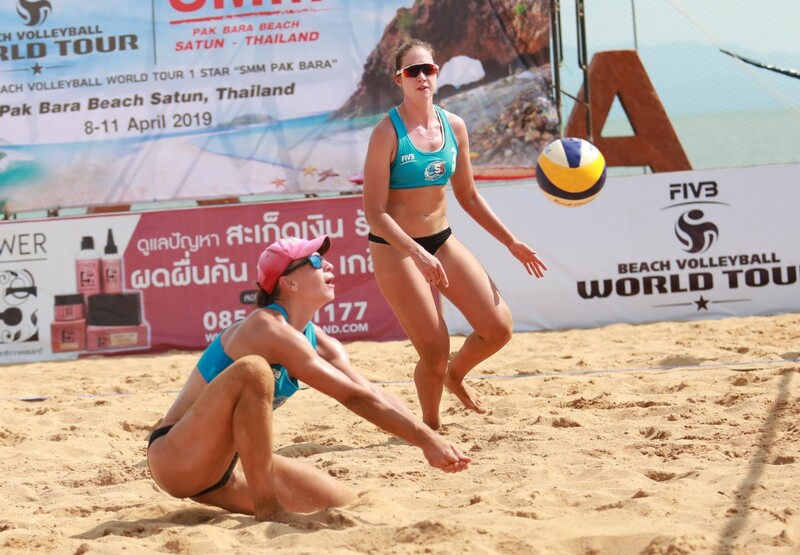 In the women’s event, four main draw spots were available from the FIVB Beach Volleyball World Tour Satun 1-Star qualification. 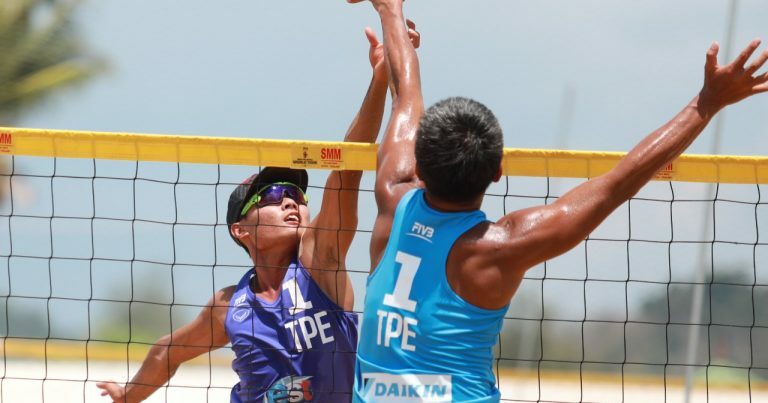 Two Russian pairs and one team apiece from Canada and Hungary have secured their places in the Tuesday’s main draw. Canada’s Rian Lenarduzzi/Devon May narrowly beat the Kazakhs Alina Rachenko/Yelizaveta Yeropkina 2-0(28-26 23-21) to later pull out a hard-fought three-set 2-1(21-10 21-23 15-13) win against Swedes Sara Malmstrom/Fanny Linidstrom. 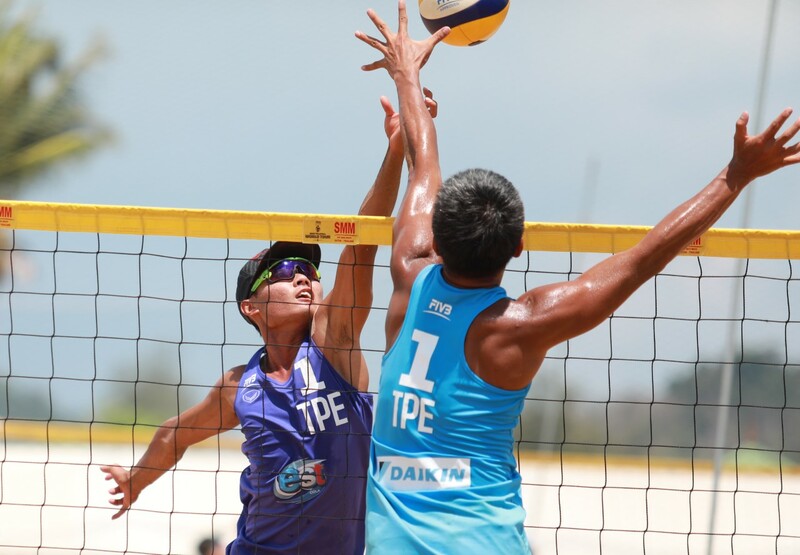 The other three winning pairs who recorded two wins to qualify for the main draw were Hungary’s Dorottya Szabo/Dominika Hafra and two Russian teams, Anastasiia Frolova/Aleksandra Ganenko and Ekaterina Filina/Ekaterina Zazhigina. Frolova and Ganenko started with a 2-0 (21-15, 21-18) win over Hong Kong’s Wai Yan Au Yeung and Yung Yung Koo, then completed their successful run in the qualification round with a 2-0 (21-13, 21-14) victory over Israel’s Sofia Starikov and Anita Dave. Filina and Zazhigina faced Israeli pair Noy Chorin and Noga Maor and recorded a 2-0 (21-10, 21-18) win before outclassing Latvians Varvara Brailko and Anete Namike 2-0 (21-14, 21-13) in the second round. Hungary’s Dorrotya Szabo and Dominika Hafra also won both their matches in straight sets. The Hungarians triumphed against Singapore’s Eliza Chong and Ng Serene 2-0 (22-20, 21-18) and Switzerland’s Kim Huber and Melina Hubscher 2-0 (22-20, 21-16).